Can you train employees to be ethical? The first reaction to our Global OMI is always – ‘where did you get your information?’ Savvy observers, who have been in corporate life long enough, know that the larger the corporation the less inclined it is to be transparent. Of course, we would prefer to be welcomed with open arms but we do not expect any corporation to invite a potential critique about what it is up to beneath the surface. This lack of appetite for corporate scrutiny, and a general distaste for self-criticism, are the marks of immature corporations. Maturity Institute and OMS LLP research demonstrates, time and again, that the vast majority of corporations are immature, relative to our exemplars. These corporations compound this reluctance to disclose by hiding their inadequacies and failings under a coat of PR gloss. Meanwhile, the pressures for closer scrutiny continue to mount from environmental, social and governance (ESG) lobbies. This has engendered a heightened sense of paranoia in corporate boardrooms and C-suites: they think everyone is out to get them. These immature boards and exco’s do not realise they have become the victim of the vicious circles they designed. Human Governance analysts and Maturity professionals are not ‘out to get’ anyone. Improving maturity is in the Board’s very best interests; as it is for their employees, shareholders and society. Mature organizations are the confident ones who are willing to admit they are far from perfect: their energy comes from their pursuit of perfection. Failure is a sign of trying to learn, to innovate and do things better. Any admission of failure is just an acknowledgement of the realities of organizational life. They have nothing to hide. They have grown up by admitting their mistakes and fearlessly addressing them head on. Mature organizations are always on an upward trend, not in a downward spiral. Presumably GSK believed this story would present them in a very favourable light but if ‘denial’ is the impression it leaves then maybe it has backfired? 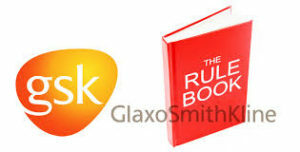 But what else can we learn about GSK today from an article in an external publication aimed at HR functional excellence? Maybe the first lesson is in the title? Should GSK be training its people to be ‘ethical’ or should it have recruited and developed ethical people in the first place? Dannii Portsmouth, “GSK’s director, HR business lead” remarks that “When we recruit people we spend a lot of time making sure their values match our own.” Does that mean, that when GSK received its “…criminal conviction in 2012 ….– for promotion of the anti-depressants Paxil and Wellbutrin for unapproved uses between 1998 and 2003” it used to recruit according to a different, corrupt set of values? Or was this criminality just an unfortunate case of isolated ‘rogue staff’? A human governance analyst would not come to either of these conclusions. Human governance analysis tells us that GSK is like any other organization in one crucial respect – it is a whole system – for better or worse. If GSK personnel have been mis-selling drugs it is, first and foremost, as a direct consequence of the board and executive of GSK either sanctioning it, facilitating it or being unaware of it. Either way, they have been failing in their duty of corporate governance. We could argue that there has been a very serious and specific lapse in human governance; except that no one at the top of GSK has a role as ‘head of human governance’. But the whole system does not stop at the C-suite. Immature organizations still have to function, using conventional management practices. For example, did the CFO at GSK distinguish in the accounts between the ‘legal sales’ and ‘illegal sales’? Worse still, whole system analysis extends well beyond the corporation itself. According to the article, it was as recent as “.. 1 July last year..” that “… GSK stopped paying healthcare professionals to speak positively on behalf of its products….” Corporations cannot be corrupt in isolation – they corrupt others within the wider community. In this case it was healthcare ‘professionals’ (sic), whose own behaviour has to be called into question, but the likely ramifications and repercussions are obvious and endless. Sir Andrew Witty, CEO of GSK, and the whole of the GSK board today, might think that training people in ethics is a mature and intelligent way to excise a deep-rooted systemic problem within the company. There may be a short lived benefit of doing so but, over time, it becomes the exact opposite and a clear indication that their current OMR rating is validated.